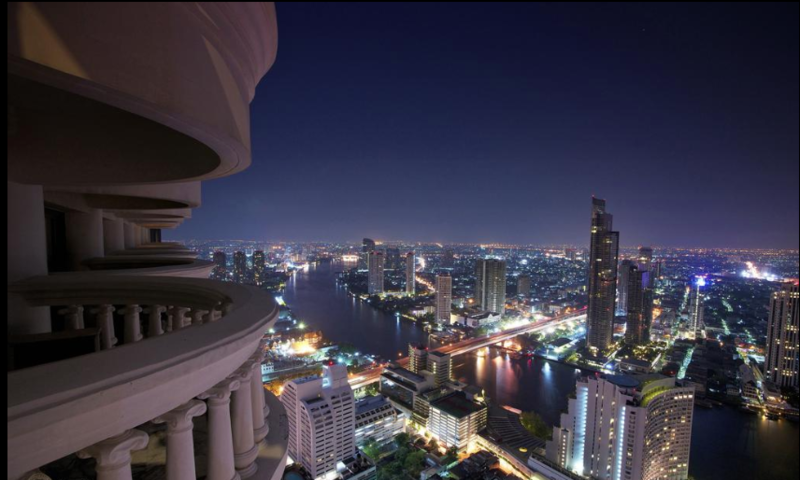 We landed in Bangkok on February 2nd around 7:00 pm to spend a couple of nights before continuing on our trip around the islands of southern Thailand. Once we had passed customs in the airport, a hotel driver was waiting for us with a large banner in his hands with our names and the name of Hotel Lebua written in very large letters. 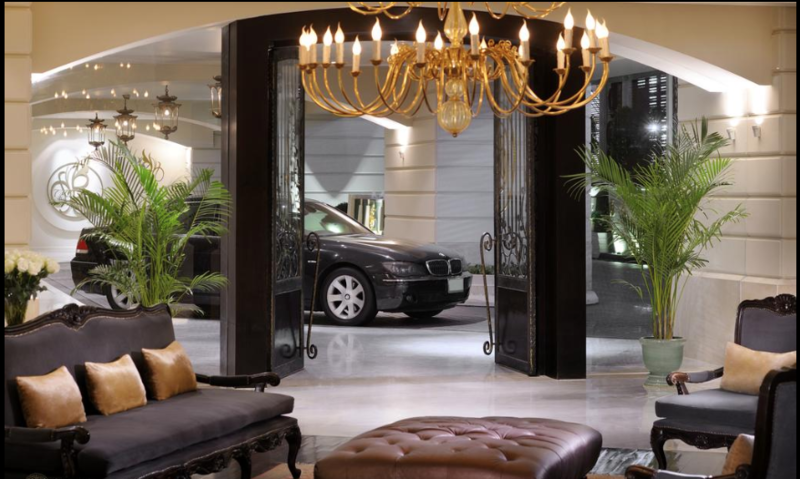 He picked us up in a BMW 5 Series, where we were able to relax during the 50-minute ride to the hotel. 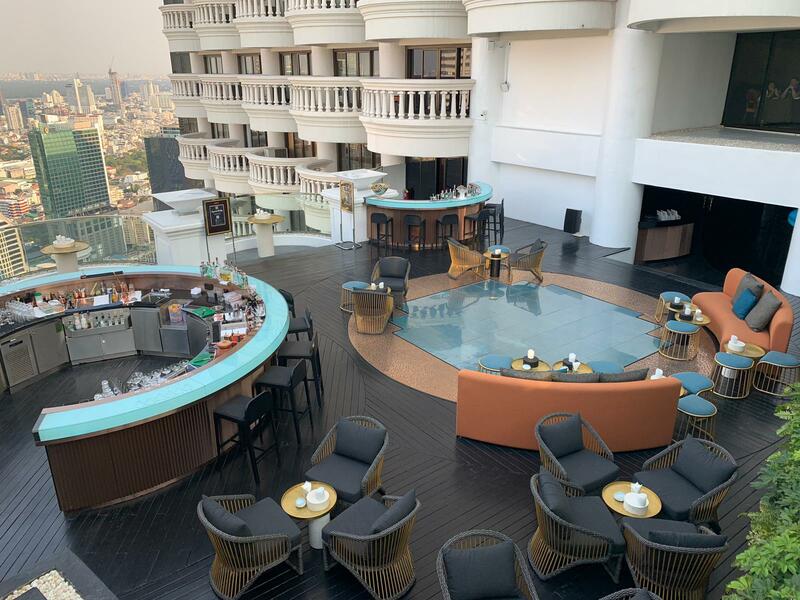 There was a lot of traffic, but the trip to Hotel Lebua felt very short since we had Wi-Fi to entertain us and some drinks to refresh ourselves. The driver was very kind as he was aware of our comfort at all times and we appreciated the fact that he spoke English. 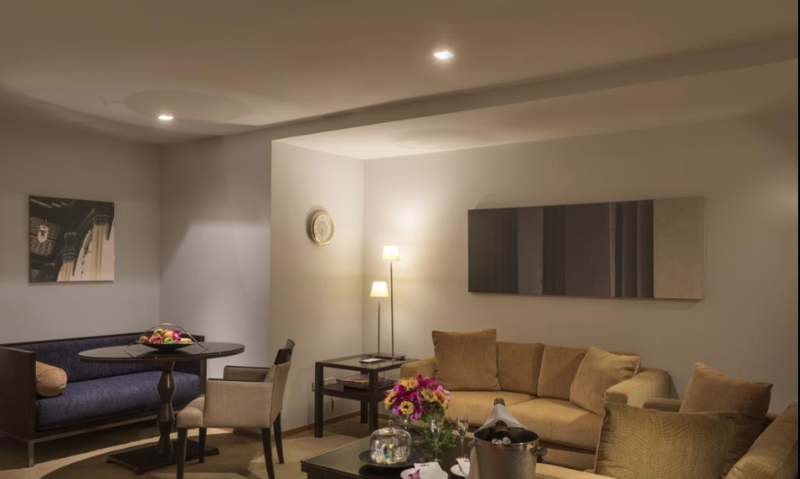 When we reached the hotel, a bellboy quickly picked up our luggage and a hotel employee gave us a warm welcome, offered us drinks and checked us in, all in a lounge with comfortable chairs where we could relax while our arrival was processed. Another hotel employee accompanied us to our suite overlooking the river that was on the 54th floor. When we entered the room, we found a large living room with several armchairs and a table with fruit and welcome chocolates. We also had a small kitchen with a fridge, microwave and Nespresso machine with unlimited capsules, as well as free drinks. The views from the room were spectacular. 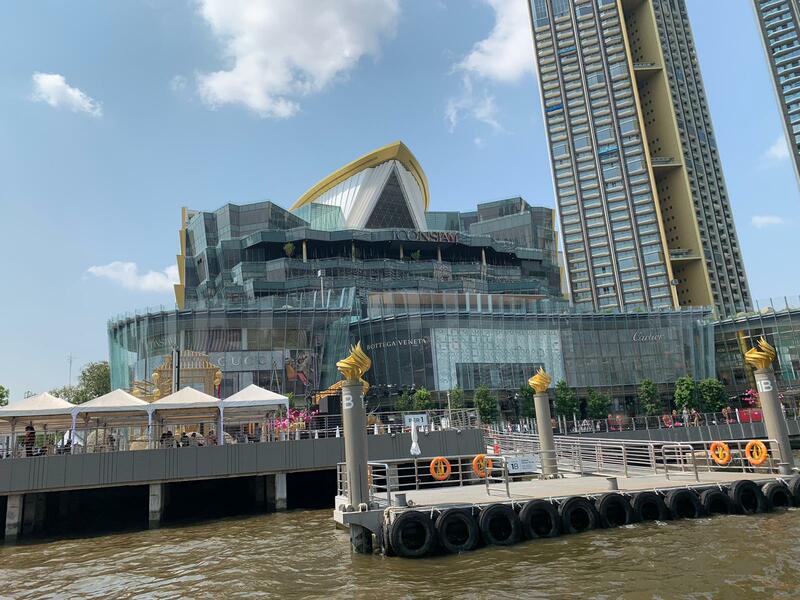 The river was right in front of us, where we could watch beautiful boats passing by, the biggest mall in Asia that had been built a year ago, and incredible views of a large part of the city. We quickly got out our luggage and decided to go for a walk down the street to check out the area. Around Hotel Lebua there are many small yet nice Thai food restaurants where you can get something to eat, as well as many beauty and massage parlours. We found one right on the corner of the hotel where we had a leg and back massage, which we greatly appreciated after the long plane trip from Barcelona. We went back to the hotel because we were starving and wanted to visit the terraces and restaurants with wonderful views that we had been told about. 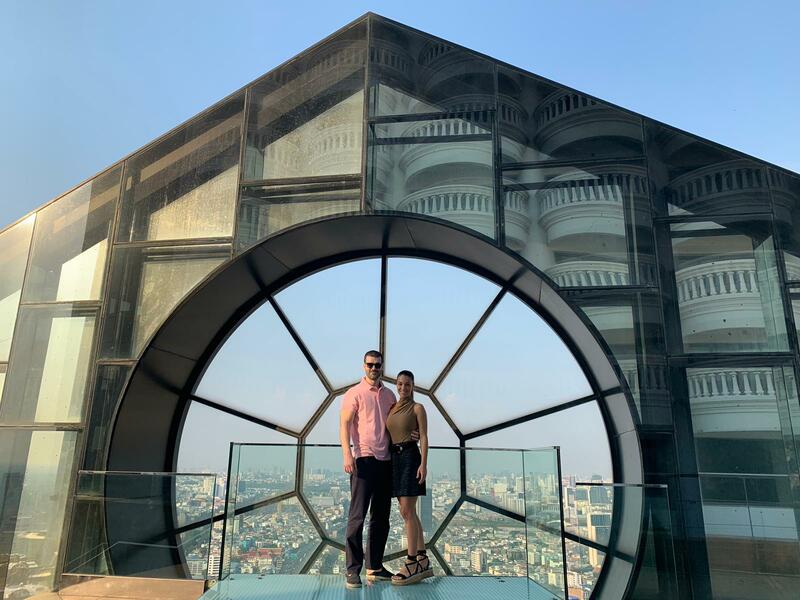 We took a quick shower in our spacious and beautiful bathroom, got dressed up nicely and went up to the 63rd floor to have a look at Sirocco, which is one of the best roof top restaurants in Asia. 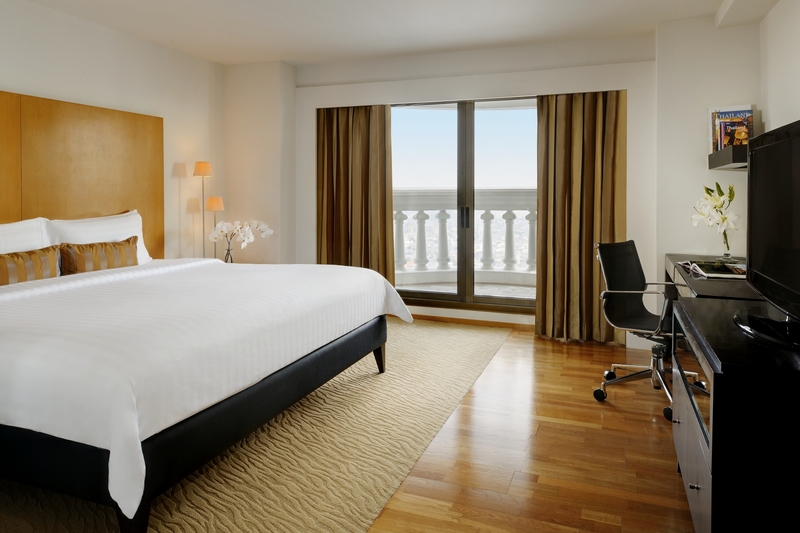 It has an impressive staircase and views of the city and the river that’ll take your breath away. All the tables are decorated with candles and the restaurant’s lighting makes the atmosphere very romantic. We were really craving seafood, so we ordered a seafood platter and two main courses, one fish and another meat dish. The desserts were really spectacular with a really beautiful presentation. The service was a 10/10! There was a band playing live jazz music throughout the evening. After dinner, we had a couple of glasses of champagne at the bar. 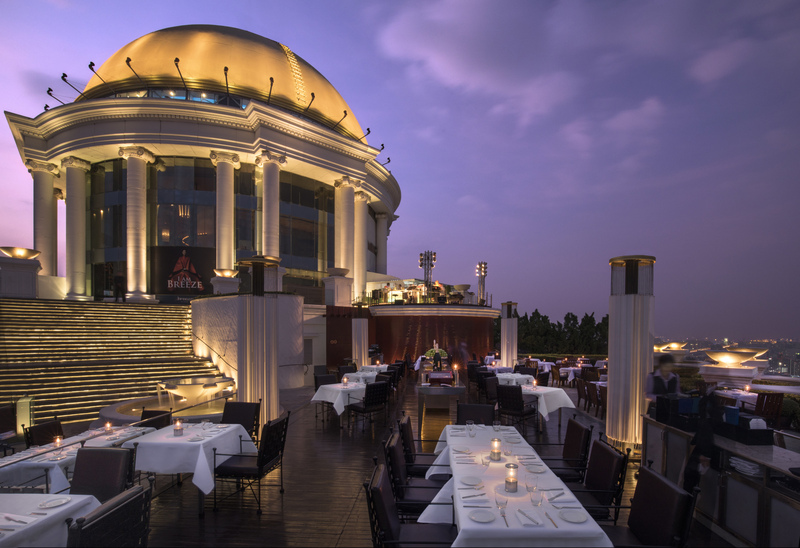 Overall, an unforgettable dinner and experience with an outstanding atmosphere. The restaurant and its bar are both a real tourist attraction, not only for the impressive views, but also because a few scenes from the film The Hangover Part II with Bradley Cooper were filmed here, and it’s fun and interesting to see the table where part of the film was shot. It was a real pleasure to have such a great dining experience on our first night in the city. Completely magical. After dinner, we went back to our suite to rest and regain our strength for the next day. The next morning, we woke up early, around 7 am, we opened the doors to the terrace to look out at the incredible views by day and then went down to breakfast at the buffet next to the pool on the 16th floor. The pool has spectacular views of the city and the buffet is very complete. Our breakfast included all kinds of baked goods, eggs cooked many different ways, as well as Asian food (sushi, Thai and Vietnamese), freshly squeezed juices and crepes. A real luxury. 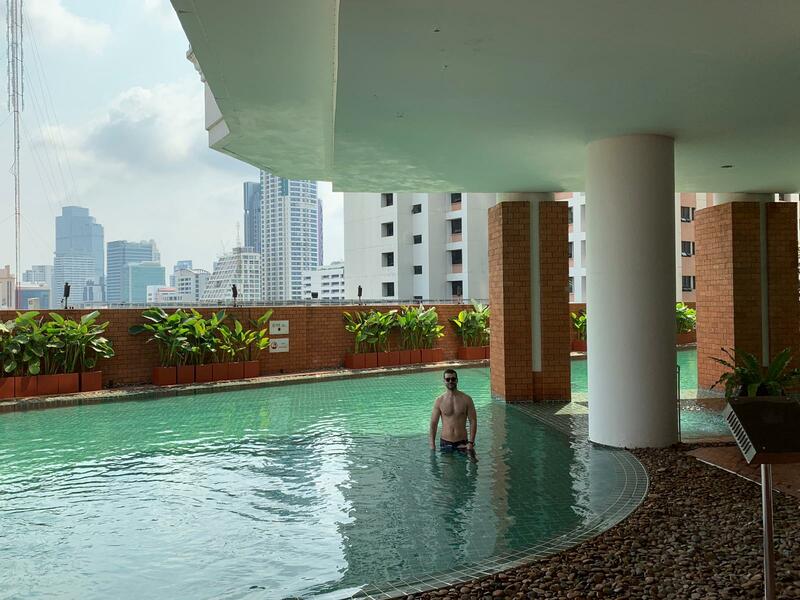 After having breakfast, we took a couple of dips in the pool, we sunbathed for a bit and once we had digested our breakfast, we decided to try out the fantastic gym that we had seen through the window next to the pool. 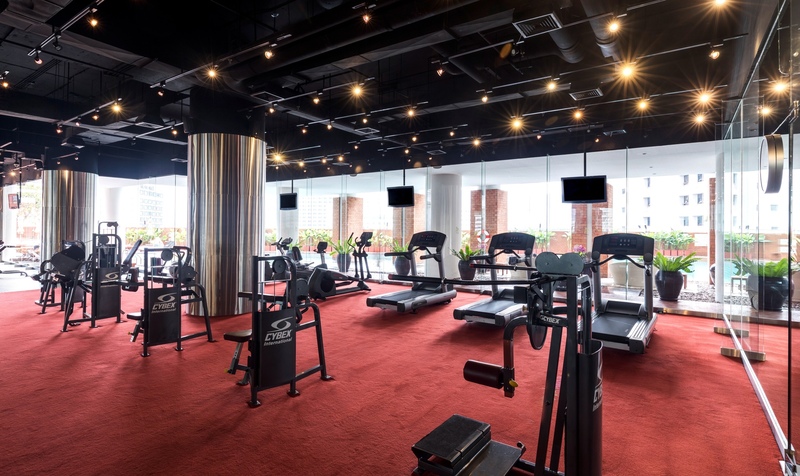 I must say that we are big fans of sports and fitness, and this gym exceeded our expectations, not only because of the beautiful views of the pool and the brightness of the room, but also because there is a wide range of machines. 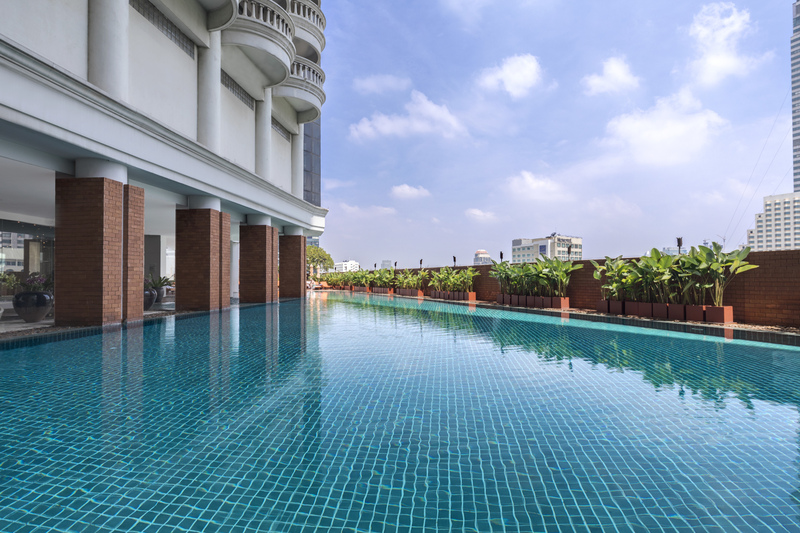 Overlooking the pool, Hotel Lebua fitness centre offers a range of modern equipment, from cardiovascular and resistance machines to free weights and dumbbells. 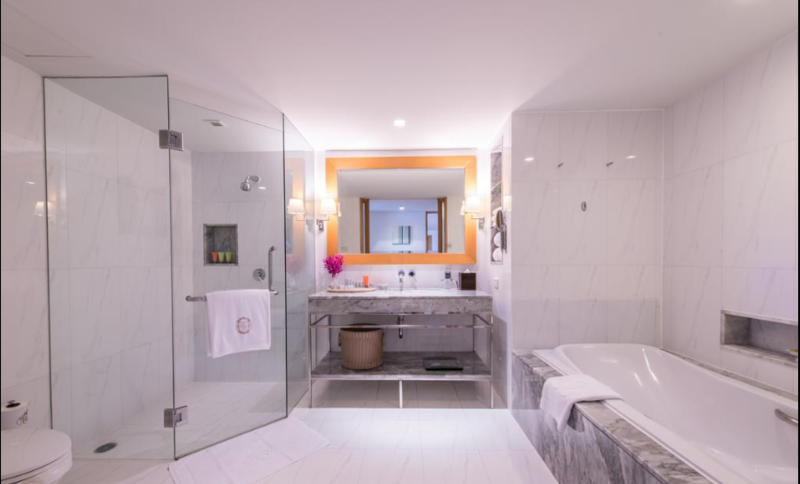 There is an elegant sauna, steam room and changing rooms. 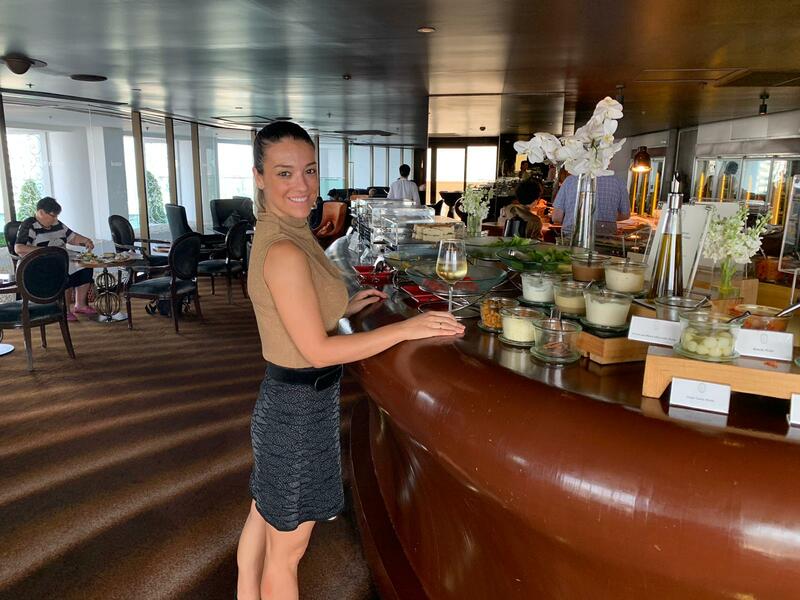 After an hour of exercise, we went up to get a snack at the Ocean 52 Lounge on the 52nd floor, where light luncheons are offered from 12-3 pm. 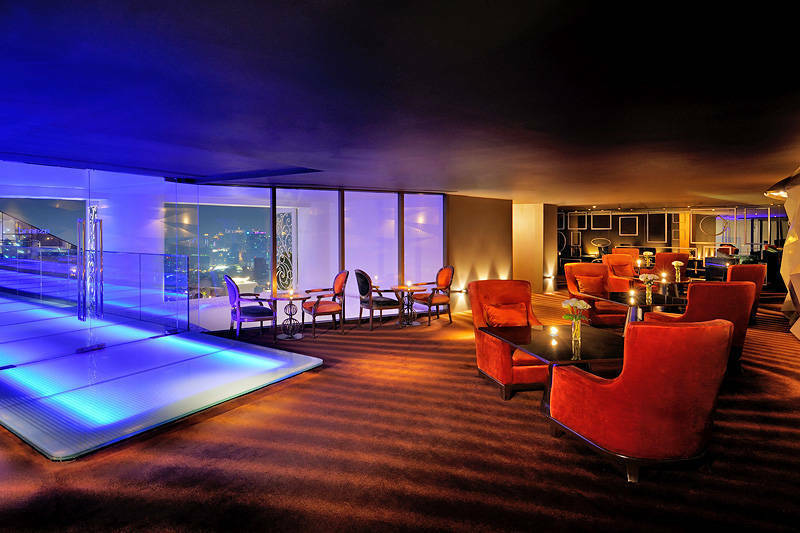 The Lounge offers stunning views in an atmosphere of absolute privacy. We had a few exquisite small sandwiches with cured meats and different cheeses, as well as some sushi. We also accompanied the snack with white wine and some cocktails. The restaurant’s service was the most attentive service I had experienced in a very long time. They kept an eye on us at all times, offering us all kinds of exotic drinks and dishes that the chef prepared on the spot. I couldn’t stop getting up to try all the plates that were coming out of the kitchen. From 6 am to 6 pm, all the drinks and food were included for us. I must admit that apart from the Sirocco, the lounge area with its views was the area that struck me most and where we felt most comfortable. We didn’t want to leave! 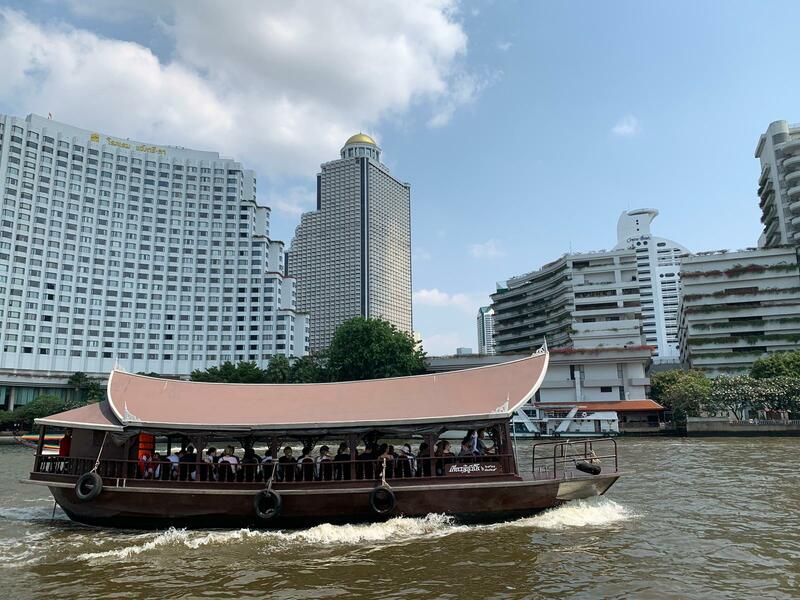 After recharging our batteries with a small bite, we decided to take the boat in the peer that’s a 5-minute walk from the hotel to go to the largest mall ever built in Asia, with a wide range of shops and many different brands and all the restaurants that you could imagine. The trip down the river by boat is very nice. It was too hot that day to walk around the city a lot, so we preferred to go back and continue exploring Hotel Lebua since we had already visited the city of Bangkok on other occasions and the hotel is so large and entertaining that you can easily spend the whole day in it exploring plenty of fantastic places. 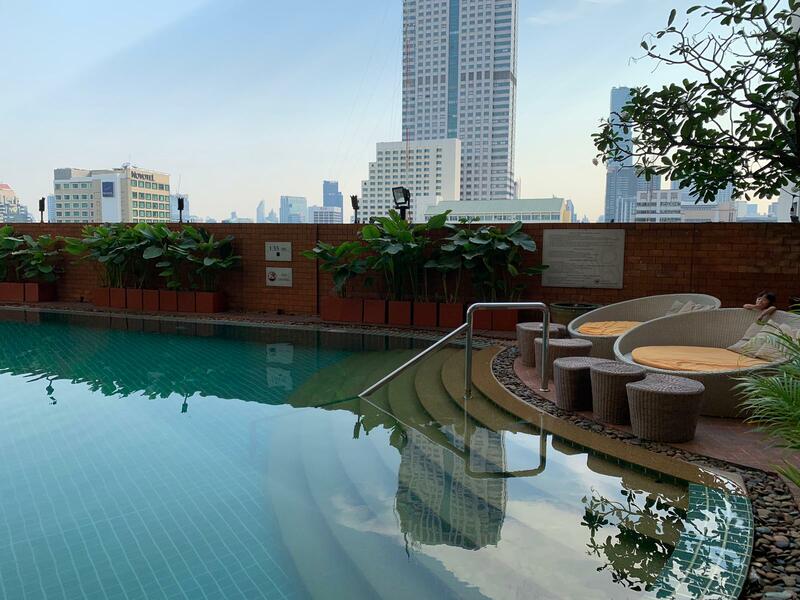 Since we love a good massage, we visited the hotel spa on the 16th floor to get a 4-hands Thai massage that was without a doubt the best massage I’ve ever gotten in my life. The room was beautiful, with a warm atmosphere decorated by candles and with two beds that allowed us to do the massage as a couple. 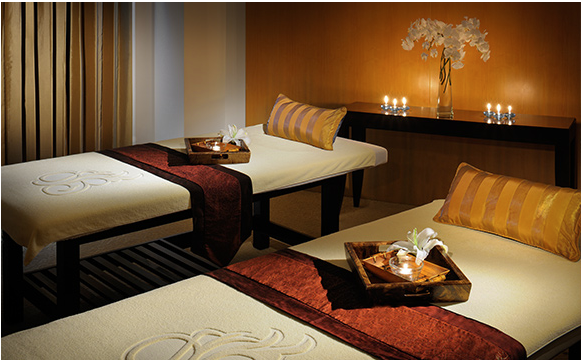 It was the first time in my life that I fell asleep during a massage! We took a quick shower and went up to have a drink at the bar right next to the Breeze restaurant, where we had dinner reservations. The music was very lively and the cocktail was freshly prepared by the barman, which tasted glorious to us after the relaxing massage! 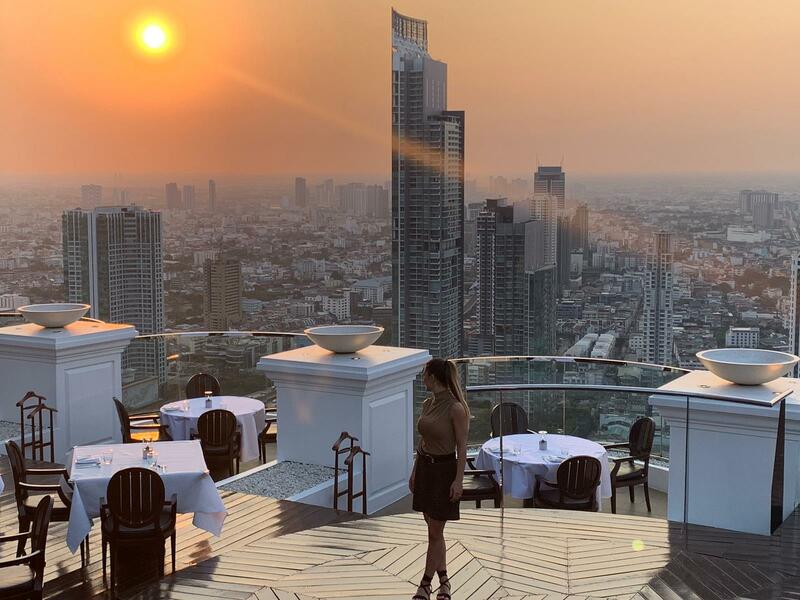 At around 7:30 pm, we went to dinner at the Breeze restaurant, which has been recognised by USA Today as one of the top, most cutting-edge restaurants, and it’s no surprise because the sunset views are even more impressive than those from Sirocco (which is hard to beat). The restaurant’s chef is a renowned chef in Asia who mixes local flavours with a very minimalist presentation. We ordered the Peranakan tasting menu that left us in awe. The truth is that we had a great dinner and we were very full afterwards because the menu is plentiful. It’s worth mentioning that they have a spectacular wine list. The next day, on Monday, we had a very early flight to start our route through the southern islands, so we had breakfast at Ocean 52 and watched the beautiful views as the sun rose for the last time, before a private car took us to the airport. 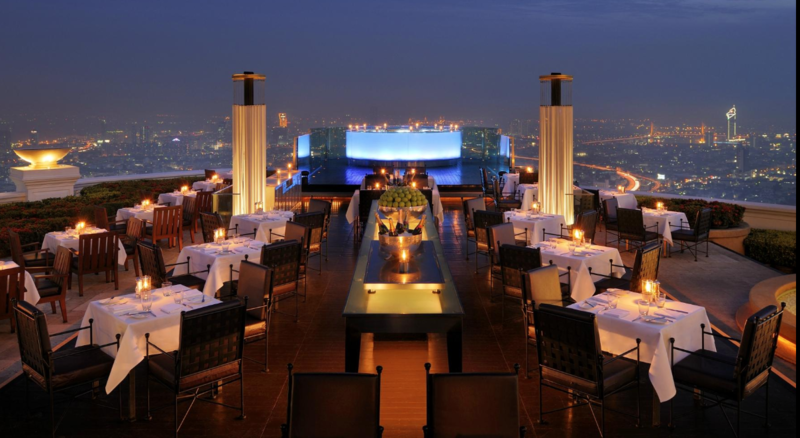 This has been our third trip to Bangkok and without a doubt, our stay at Hotel Lebua has been the best in every way. 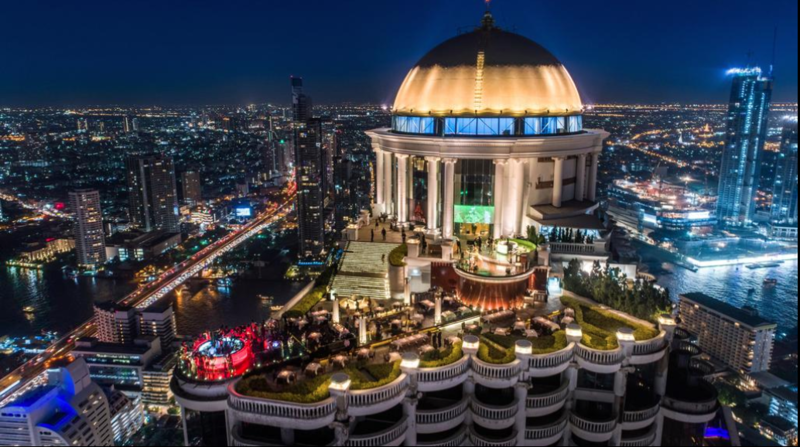 The service, the treatment, the quality of its restaurants, the views, the cocktails, the music at every bar, the huge gym, the location, the incredible atmosphere and the play of colours at sunrise and sunset all make this hotel undoubtedly the best hotel to stay at in Bangkok. We left with an unforgettable memory.